LAS VEGAS — Walking the long, dusty road between the Encore Hotel and the CES Convention Center, I was approached by two guys. They offered to give me a ride. I know I should never accept rides from strangers but their offer was to good to pass up. It was the most creative and original marketing ploy I’ve seen at CES. The two guys were employees of Nest, the Silicon Valley startup known for its smart Thermostat that was founded by Tony Fadell, one of the prime movers behind Apple’s iPod. 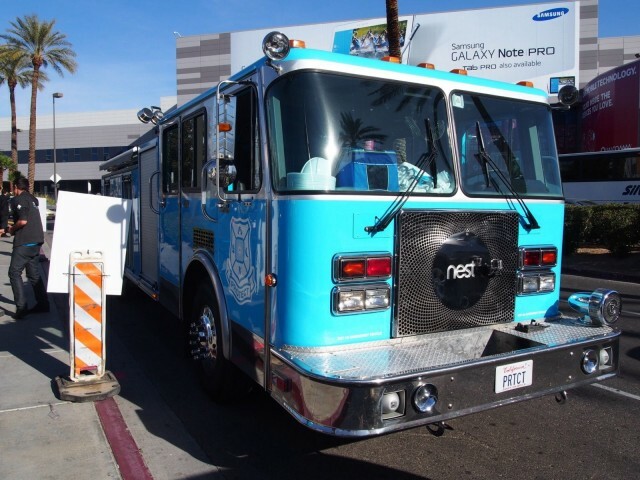 Promoting Nest’s latest product — a smoke and carbon monoxide fire alarm called Protect — the guys were driving a pimped-out, baby blue firetruck. Not only did they save me a long walk, they had frozen coffee bars and t-shirts. How could I refuse? 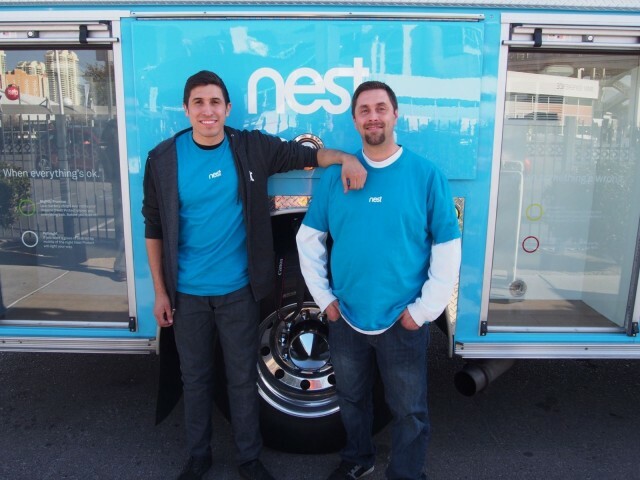 The guys referred to themselves as “nestlings,” which means they’re new to the company. The blue firetruck was a more like a mobile exhibition booth, with demos inside of the Protect alarm. The firetruck, a ’91 Spartan, was purchased on Craigslist and pimped out from the actual Pimp My Ride guys, West Coast Customs. The ride was long and full of CES congested traffic. I didn’t care. My feet were happy and I was happy to hear about the Protect fire alarm. After researching the standard plastic smoke alarms, Nest determined the top two most annoying things were chirping when the battery was low and alarms going off while cooking in the kitchen. They took that information to heart and added a heads-up feature — a yellow colored alert via an iPhone app when light smoke is detected. If the alarm happens to go off, a simple wave of the hand will stop it. There’s no more taking batteries out in frustration. Plus, the Protect glows reassuringly green when the batteries are good. I’ve never ridden in a fire truck before. Plus, there was a camera trained on me. 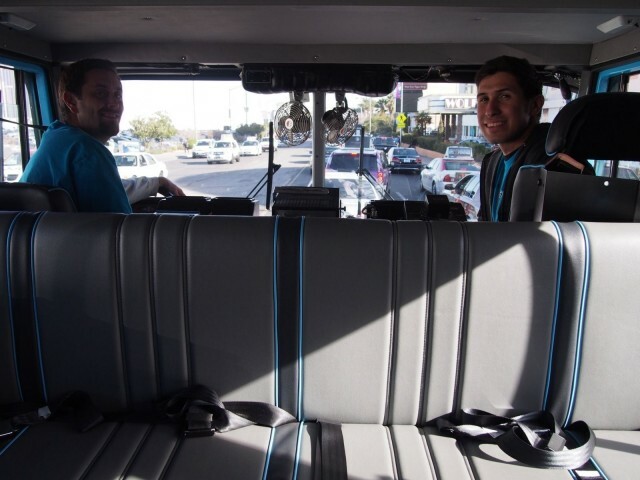 I felt like I was in a reality TV show like Taxicab Confessions. It turns out I sorta was because they made me sign a media waiver. The whole conversation was recorded. I didn’t care though because my feet were happy and the Nestlings were friendly and they even convinced me to buy a Protect or two or three (one for each floor). At $129, the Protect is not cheap but it’s a lot better than all the disabled alarms we have at home.